Hanoi (VNA) – The Top Thai Brands 2017 fair opened in Hanoi on August 17 as part of efforts by the Thai trade ministry and Thai Embassy in Hanoi to promote trade between Vietnam and Thailand. She noted that the two countries marked the 40th anniversary of their diplomatic relationship last year, and the Thai Embassy continues to organize more activities to bolster bilateral cooperation across the fields, one of which is the trade fair Top Thai Brands Hanoi 2017. 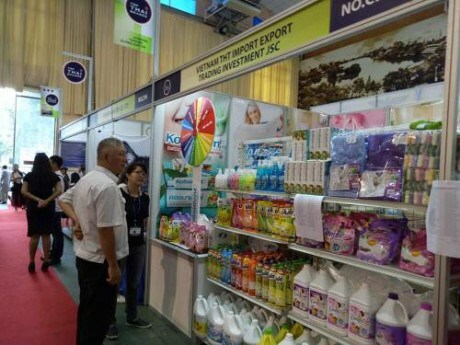 The first two days of the fair will be reserved for 113 Thai companies and trade associations to meet up with Vietnamese counterparts and seek partners and business opportunities. The fair will be opened for visitors on August 19 and 20 with 192 booths offering Thai products and services. Sidelines activities include performances by Thai dancers.